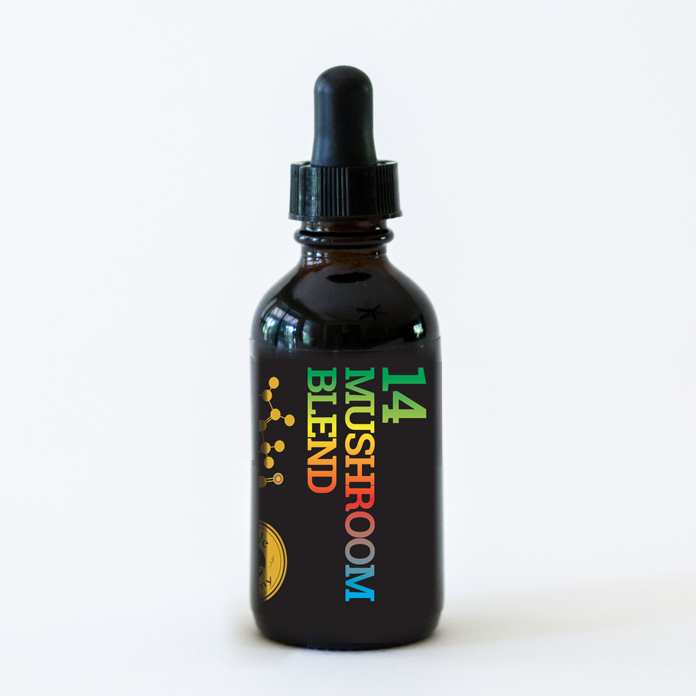 A triple extraction of 14 different mushrooms. 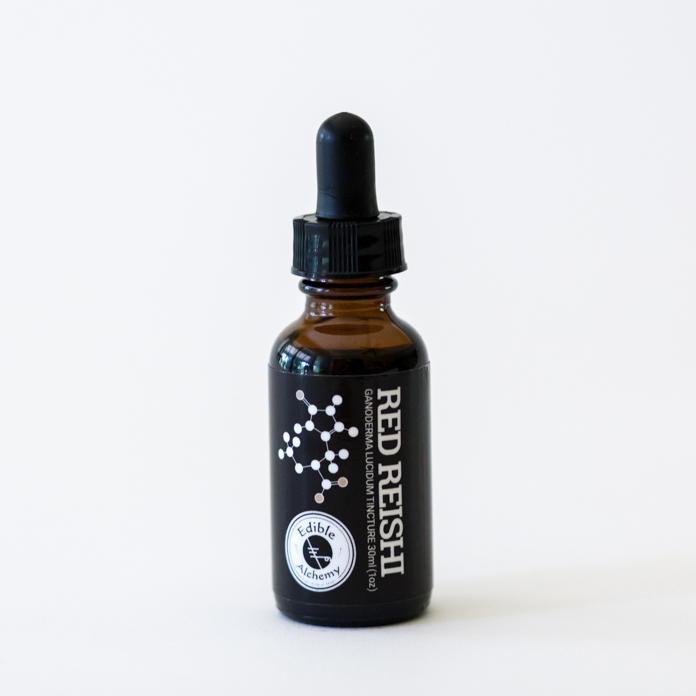 Ingredients: USP Grade Organic Cane Alcohol (no gluten), Reishi, Cordyceps, Chaga, Mesima, Lion’s Mane, Turkey, Maitake, Shiitake, Agaricus Blazei, Poria, Agarikon, Suehirotake, Oyster Mushroom, True Tinder Polypore, Organic Myceliated Brown Rice. Ingredients: USP Grade Organic Cane Alcohol (no gluten), Filtered Water, Wild or Organic Mushrooms (Reishi, Cordyceps, Chaga, Mesima, Lion’s Mane, Turkey, Maitake, Shiitake, Agaricus Blazei, Poria, Agarikon, Suehirotake, Oyster Mushroom, True Tinder Polypore), Organic Myceliated Brown Rice (food for the mycelium).